Guess who won though he did drop a couple. Hannah was second with a borrowed rifle. Lesson from both seems to be to beg steal or borrow any rifle except your own. 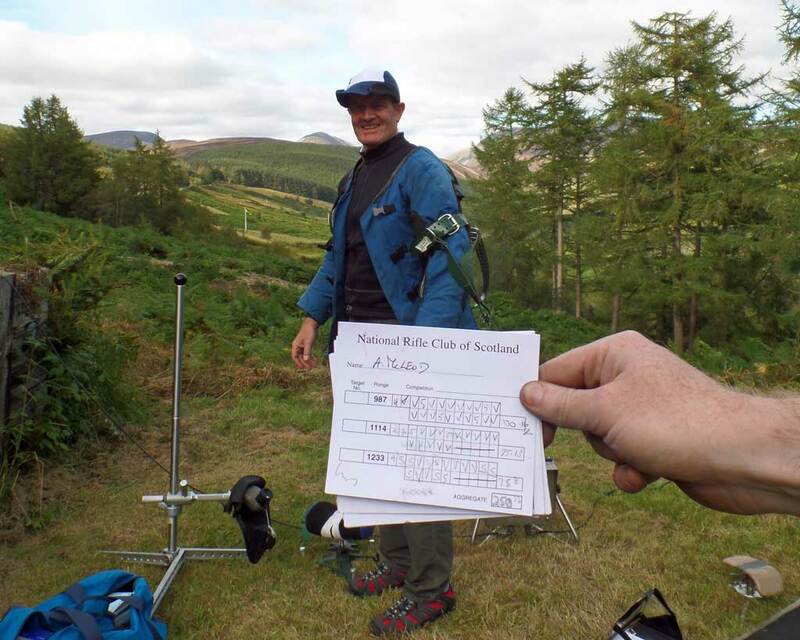 Two new records were set -- first score of 100 at 1233yds with a Match Rifle by Angus McLeod (there have been previous scores of 100 using F-Open rifles), and the first time it has been won with a maximum score with no points dropped (!) again by Angus Mcleod. Both days of the Autumn Meeting took place in sunshine and gentle winds – winds which were almost undetectable to lesser mortals. Overnight frost melted into dew and generated vibrant populations of midges which became a major factor. One of our number actually shot while wearing a midge net. At the first range on Saturday, there occurred a rare event. A Match Rifle tyro produced, with his first match rifle shoot, a score of 100.09 at 1000 yards. 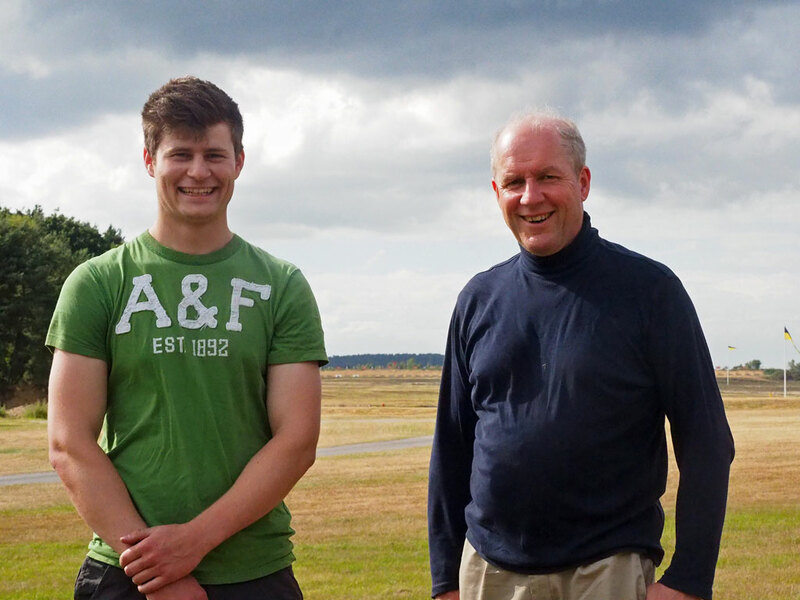 This was Ron Scaglione – a seasoned Target Rifle shooter – but we welcome his debut into MR.
We were visited by three English stars, Alex Cargill Thompson, Julian Peck and Michael Davis, together with Silke Lohmann. The winds were very light, but difficult to read, and the light was distinctly variable, all of which brought out the magpies. It was not long before a major phenomenon became apparent. Angus McLeod was dropping no points at any range. On Saturday, he achieved three perfect scores, and no less than 37 V bulls. The rain which was threatened for Saturday afternoon held off and fell overnight. By Sunday the sunshine, and the midges, were back. 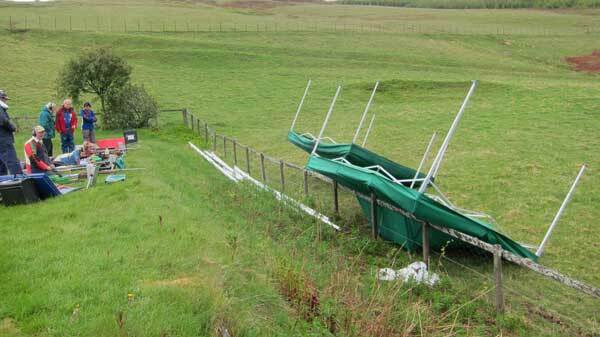 The fickle winds and changing light continued to take its toll on the scores. 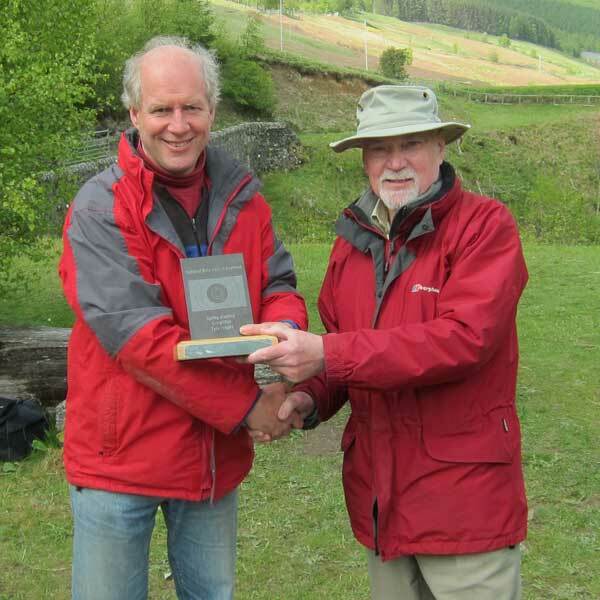 But not on Angus, who continued his sequence of perfect scores to produce a record combined score for the two days of 450.63 to win the meeting by 11 points. 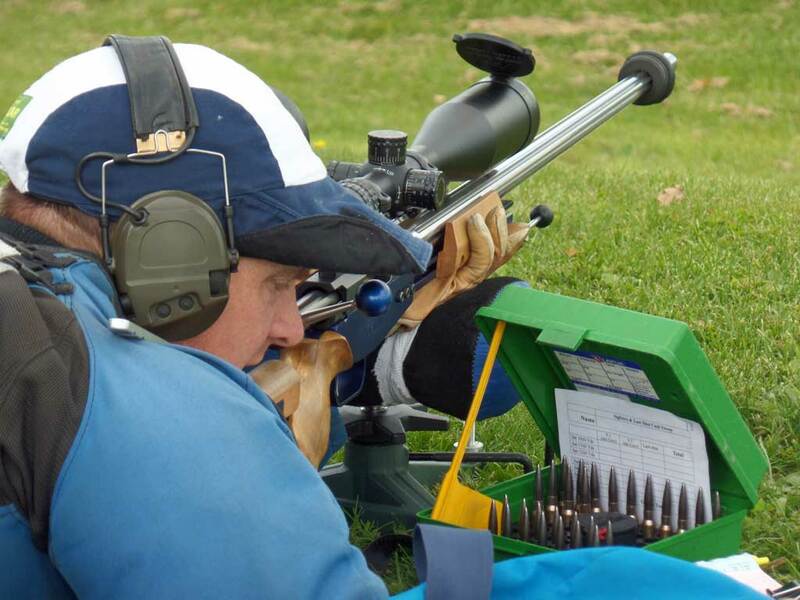 Julian Peck shot very well, achieving second place on both days with 439.47, and Mike Baillie-Hamilton finished third with 432.42, eighteen points behind the leader. 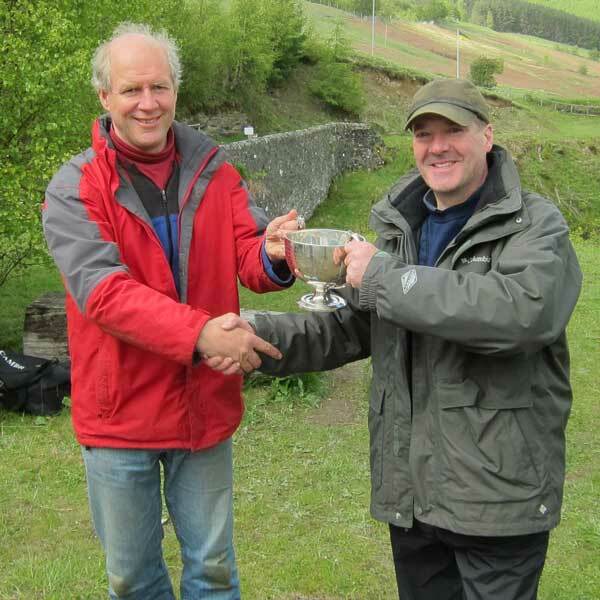 Thus, Angus swept the board with the Maxwell Cup, Sandeman Trophy and the Brodie Trophy (1233 Yard Aggregate), with Julian Peck winning the Brown Tankard and Silke Lohmann winning the Maitland Cup. The pairs were won by Julian Peck and Ian Brown with 333.29, with Tim and Silke bringing up the rear with 316.15. 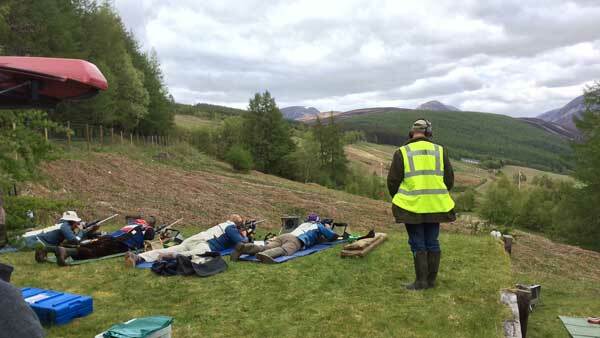 The Atholl Arms had provided a congenial dinner on Saturday evening, but our great thanks go to Tim and Liz Kidner for the immaculate management of the entries and the stats and to those who stage managed the electronic targetry, which gave very little trouble. It was a very enjoyable event, finishing in good time for those faced with long return journeys. GB Team with Record Score +79 points! 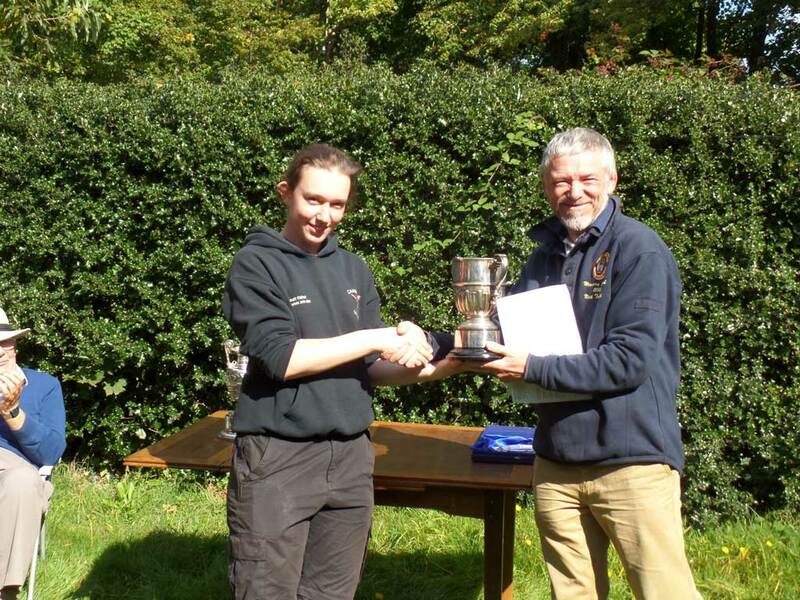 "Members of NRCofS picked up 11 trophies during the Imperial Meeting Match Rifle events. 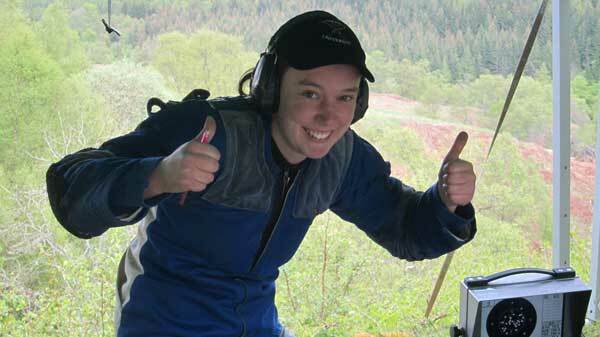 Hannah Fisher briefly led the Hopton thanks to starting the Whitehead with the only 75 at 1,000x. Andy Gent then took the lead over lunch but by the Saturday evening Mike Baillie-Hamilton was in the lead by 2 points. Over the next three days his lead grew steadily to 3, 5 and finally 5 points to give him his third victory in the overall title. Runner up was Rob Lygoe - last years winner. On Sunday Fergus Flanagan started in startling form with a pair of 100s in the Cottesloe and Wimbledon. His 17 Vees in the Cottesloe were good enough for outright first while in the Wimbledon with only 13 Vees he had to add a tie shoot of 25.3 to beat Mike Baillie-Hamilton's 24.1. 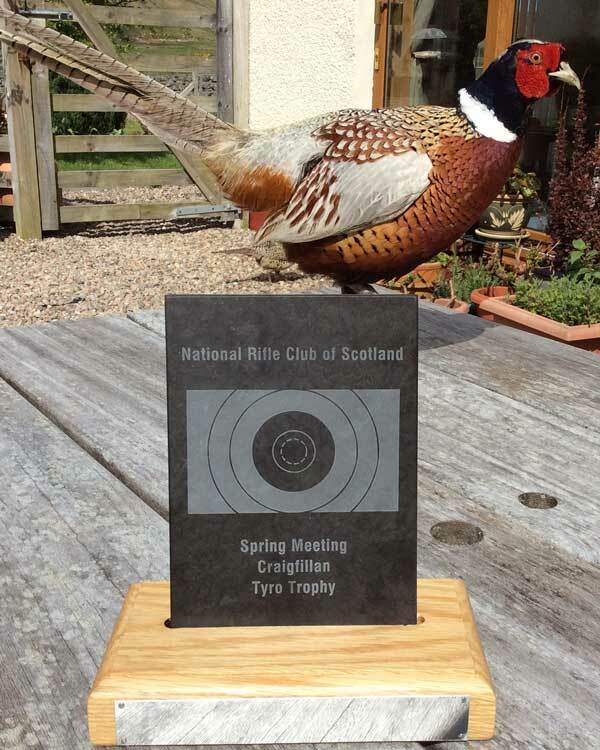 In the Albert Angus McLeod, shooting with a borrowed rifle, was a clear winner by a huge six points. Along the way Mike, Hannah and Angus all picked up aggregates - notably Hannah winning the 1,000x aggregate with only 1 off. Indeed her 1,000x shooting was near immaculate with only 5 off over 95 shots on 6 days. Come the Elcho, Scotland were short of a few regular team members but still fielded a team from the top 36 in the Hopton. Sadly England were on stellar form and beat us at every range. We nearly matched their V count but their coaches, who spend so much more time on Stickledown than we can, seemed adept at avoiding the white - falling into it only 4 times to our 15 times at 1,200x. Wales pulled out a strong 1,200x finish to overtake Ireland for third spot - a disappointing finish to Martin Townsend's remarkable 32 year stint as Irish Captain. We were delighted that the Earl of Wemyss and March attended to give out the Elcho medals and dine with us. Our supporters club led by Silke Lohmann ensured we were well fed on several occasions - though the captain was less than amused when she supplied Fergus with a bottle of bubbly which he sprayed about - largely in the direction of the captain. 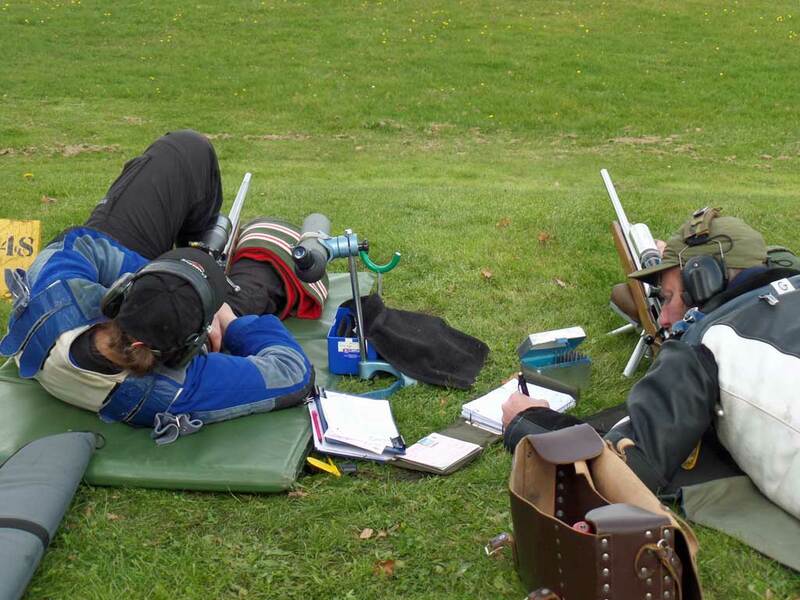 Despite this the captain lent Fergus his rifle to try out prone shooting in the Any Rifle. Fergus promptly won by a handsome margin. Will he be tempted to leave supine behind ...? An accident on 4th July 2015 at Bisley, fortunately resulting in only minor injury, has highlighted a safety issue. 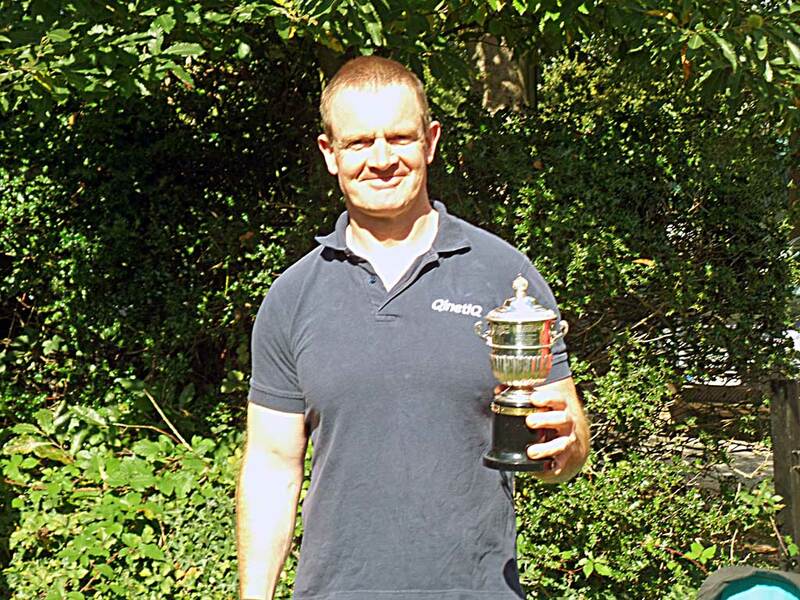 Congratulations to the winners and particularly to Mike Barlow for his score of 222.30v on Sunday in difficult conditions and for his winning margin of 15 points for the weekend. The Government has announced its agreement for the firearms licensing fees administered by the police to be increased in-line with the proposals set out in the public consultation document of November/December 2014. 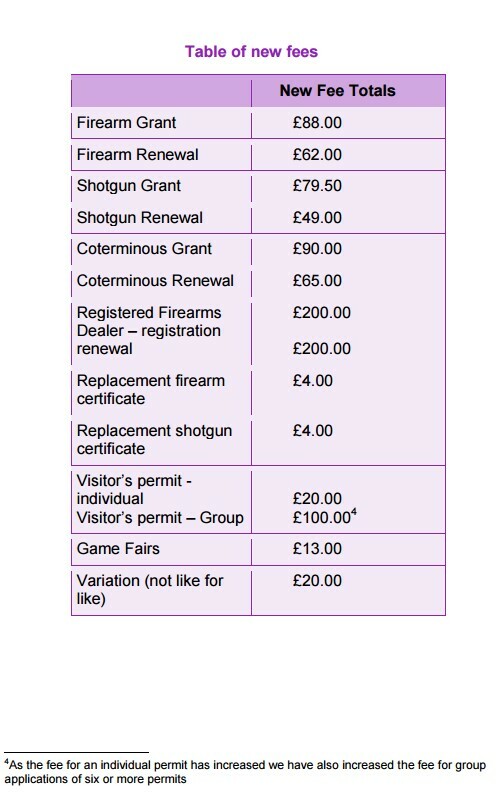 The new fees come into effect from 6th April 2015. Congratulations to you all on your selection. 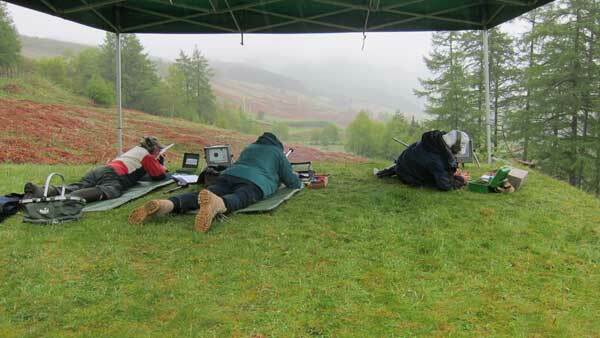 NRA RCO qualification lasts for 6 years after last renewal/successful course completion. If you have a NRA RCO card then please check it to ensure it is still valid. There is only a certain amount of grace period for renewal. Otherwise the full course will have to be completed again. The relevant NRA web page is here for course details. The RCO renewal form (2013) is here.